Amsterdam, the Netherlands. – Royal Philips (NYSE: PHG AEX: PHIA) today announced the launch of IntelliSpace Console Critical Care, a cloud-based clinical decision support dashboard supporting enhanced workflows in the intensive care unit (ICU). Debuting at the 2016 HIMSS Annual Conference and Exhibition in Las Vegas, Nev., IntelliSpace Console is designed to improve critical care with smart clinical decision making, enhanced patient monitoring and tracking of quality metrics. The easy-to-use dashboard gives clinicians access to patient data across multiple systems and EMRs to help streamline, prioritize and analyze complex patient data quickly. 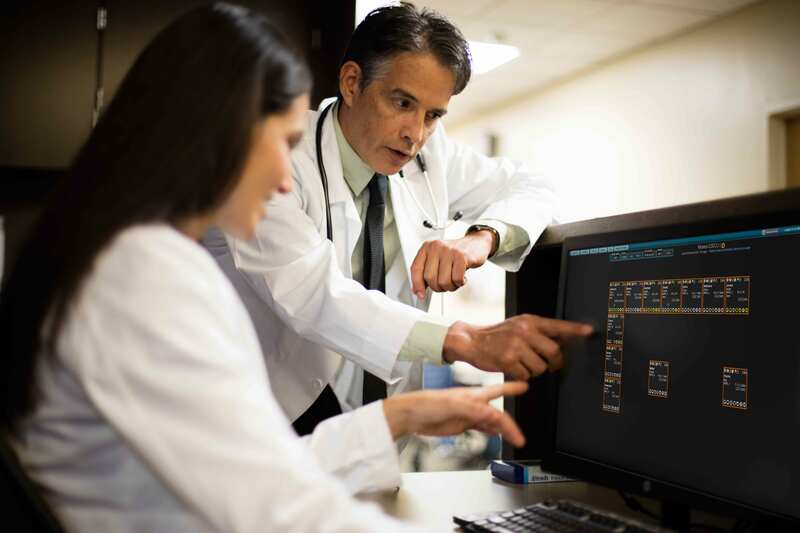 IntelliSpace Console is the result of a multi-year clinical study and a research collaboration with Ambient Clinical Analytics and the Mayo Clinic. It is the latest to join Philips’ portfolio of advanced health technology and integrated informatics solutions helping to improve workflow efficiencies and patient outcomes with clinical decision support applications. In critical care settings where every second counts, clinicians need to make timely care decisions and navigating the vast amounts of clinical data available at the patient bedside can make it difficult for clinicians to analyze so much information at once. IntelliSpace Console addresses this issue comprehensively and transforms patient data from multiple sources, including EMRs, into actionable insights. The smart dashboard provides intensivists, nurses, respiratory therapists and other specialists with the context-relevant clinical information needed to make decisions quickly and efficiently in critical care settings, leading to better care and greater productivity. The transition to efficient patient-centric care is driving an increasing number of business and Health IT challenges – including EMR implementation, interoperability, meaningful use, accountable care and healthcare reform. At this year’s HIMSS event in Las Vegas, Philips will be demonstrating how integrated IT solutions like IntelliSpace Console can address these challenges by collecting, combining, analyzing and delivering quality data to help improve patient outcomes, reduce costs and improve quality of care. IntelliSpace Console’s user experience, which is rendered using evidence-based guidelines, provides clinicians with an overview of the patient population in the ICU, including acuity level, details on life support, and other key information to help clinicians make more informed decisions when assessing interventions and developing patient care plans. The dashboard harmonizes the information on each patient to ensure that each member of the care team sees the same, normalized information. IntelliSpace Console is hosted on Philips HealthSuite digital platform, an open, secure cloud-based platform that powers solutions that can collect, compile, store and analyze clinical and other data from multiple devices and sources. The HealthSuite digital platform supports the secure collection of all types of data related to health and lifestyle so patients and caregivers can make more confident health and lifestyle-related decisions with the next generation of connected health and wellness innovations, like IntelliSpace Console. Mayo Clinic developed IntelliSpace Console under the product name AWARE1 (Ambient Warning and Response Evaluation) and Philips is partnering with Ambient Clinical Analytics to bring the technology to market in the second half of 2016. Together, with the United States Critical Illness and Injury Trials Group, these organizations received an award from the Center for Medicare and Medicaid Innovation (CMMI) award from CMS to research the impact of using a cloud-based clinical decision support solution with a novel user interface for the ICU. Mayo Clinic and Dr. Herasevich have a financial interest in the technology referenced in this news release. Revenue Mayo Clinic receives is used to support its not-for-profit mission in patient care, education and research. IntelliSpace Console is expected to be available to a select number of hospitals later this year. Philips will be showcasing IntelliSpace Console Critical Care technology at booth #3416 at the Healthcare Information and Management Systems Society (HIMSS) 2016 Annual Meeting and Exhibition, taking place Feb. 29 – March 4, at the Sands Expo in Las Vegas, NV. For updates on Philips’ presence at HIMSS, follow @PhilipsLiveFrom and visit www.philips.com/himss. 1 ProCCESs AWARE - Patient Centered Cloud-based Electronic System: Ambient Warning and Response Evaluation. https://clinicaltrials.gov/ct2/show/NCT02039297.